Yes.... you've read that correctly. Aussie, that sweet smelling hair brand we all know and love have released a BRAND new product - and I think most of us are thinking 'it's about time too!'. It was only a matter of time before the brains behind the Australian brand thought of adding a hair oil (or 2) to their ever popular collection and when I spotted this last week I nearly leaped at it with a spring of excitement! I LOVE the scent of Aussie and I have done ever since I was a teenager, I swear if they made a candle it would sell out in like 10 seconds haha. This 'mega' oil has that classic scent and with it's 3 main ingredients creates a multi- purpose formula for everyday use. Macadamia Nut Oil, Coconut Oil and Safflower Seed Oil work together to help protect the hair from everyday life while keep it looking and feeling fabulous. Seeing as my Ultimate Blends oil was on it's last couple of pumps, this stuff couldn't have come at a better time for me! I've used this every single day since picking it up and am LOVING it! Everytime I've washed my hair I've popped a few pumps of this into the ends and then added a little each day when it hasn't been washed. At £9.99 for 100ml this is a great purchase, hair oil lasts me months and months (especially now I have shorter hair) so it's a great price for something that I will use daily! Are you an Aussie fan? Fancy trying this oil? Oooh hope this one will arrive in Finland too! Sounds amazing! Aussie haircare has such a cult signature scent! It smells divine. I used to be devoted to their spray leave in conditioner. I am definitely going to get if I see it! I love Aussie products! I've always loved the Aussie scent they use and I've tried loads of their products out over the years! Not so sure about this one though, but might try it to see what I think! Oh wow this is amazing! 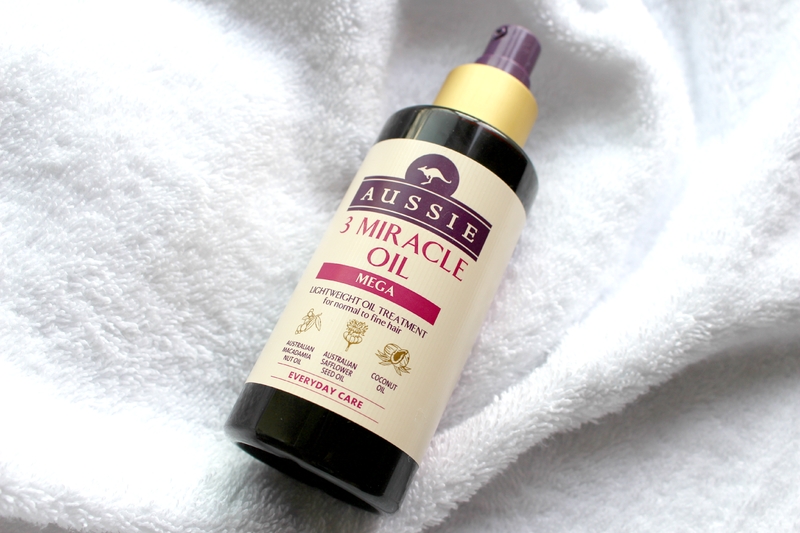 I love the Aussie smell so much and I love using a hair oil so the two combined is brilliant! I love the smell of aussie but I've never used anything other than their shampoo and conditioner or hair masks but this sounds so lovely and definitely something I could use with it being hotter here in the UK. I love my Garnier Ultimate Blends Coconut Oil and have been using it for a long time. Think it's about time for a change and this may be just the oil I go after next. 5 Apps I Cannot Live Without!